Tom Yamada is 15 years old. His job is to save the world. Tom's family are destined, or cursed, to fight the evil Lords of Pain, five powerful demon lords who want to rule our world. Only the Contest stands in their way. In the Contest, which takes place every 30 years, each demon must fight a duel with the Yamada champion. If a Lord of Pain wins, the gateway to hell will be opened. Tom is due to fight the demons around the year 2025 ... but something has gone wrong. It is 2010, the Contest is already starting - and Tom isn't ready. If he loses, half the human race will die and the other half will be enslaved. Cities will be destroyed. Mountains will crumble. Seas will boil. A new Dark Age will begin. Boys love martial arts. It's a fact of life, just like the Pope being Catholic and I am no exception to this rule. My love affair with martial arts started back in the 1970s with david Carrdine's Kung Fu series. Once I got my Sinclair ZX Spectrum I spent hours playing Yie Ar Kung Fu, but then along came Mortal Kombat and I was truly hooked. Johnny Cage didn't just fight other humans.... he fought demons as well! Many an hour was spent on the SNES, and a small fortune spent at the arcade playing this great game. I would also try to watch as many martial arts films as I could get my hands on (usually via a school friend) and one of my favourite was called Zu Warriors From The Magic Mountain. This film had the same glorious mix of kung fu, demons and ghosts, and The Lord of the Mountain, has made all those cherished memories come flooding back. Martial arts in books for kids appear to be growing in popularity, with Chris Bradford's Young Samurai, and the brilliant Hattori Hachi by Jane Prowse leading the way. Enter now James Lovegrove into the dojo. Mr Lovegrove has been building a reputation for himself in recent years with his adult sci-fi Age of Ra book. 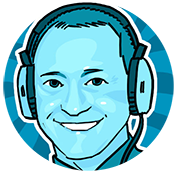 Now he has written a series of books for Barrington Stoke, an award-winning publishing company who specialise in books for dyslexic and struggling readers. 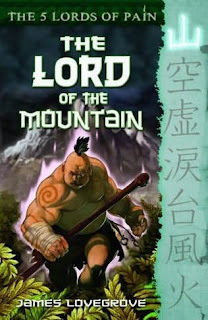 The Lord of the Mountain is the first in The 5 Lords of Pain series, and Barrington Stoke suggests that it is targeted at children with a Reading Age of 8+ and an Interest Age of 10+ and I see nothing in this book to dispute this. The level of English used is certainly right for children with a younger reading age, but the content is definitely for the 10+ age group who will love the violence and humour. One of the phrases often used by Barrington Stoke on their website and publicity meterial is that they "believe in stories" and that "a really good story will hook the most reluctant of readers", and they are certainly living up to these claims with The Lord of the Mountain. In a slim volume of only 94 pages James Lovegrove has managed to create a super-fast paced story with an instantly memorable character in Tom, its reluctant hero. We are introduced to Tom as he trains, and we are slowly fed tiny morsals of information about what he is training so hard for and why. The way James Lovegrove teases this information out kept me totally engaged with the story and desperate to see what happened next - exactly the desired effect to keep a struggling reader hooked. At no point are we told something we do not need to know; every word helps the story progress. There is action (obviously... it is a martial arts book after all), humour, demons, throwing stars (ask any 12 year old boy what the coolest ninja weapon is and this will be your answer), and the publicity material promises us zombies, betrayal, friendship, ninjas and bone-crushing violence in the books still to come in the series (I can't wait!!!!). The Lord of the Mountain is available to buy now, with the second book in the series, entitled The Lord of the Void, scheduled to be released on 26th April. All five of the books in the series will have been published by 22nd October this year, so not a huge amount of time to wait between episodes. To fill time between books then it is well woth visiting the 5 Lords of Pain website, which has inside information, free downloads and competitions. I love this book so much. Am such a sucker for well written martial arts books in which the hero has to overcome insane odds. I love the descriptions too - very concise, with very little fuss. An excellent read. Can't wait to devour the others!